Remix OS is Leaked - Download Remix OS & USB Tool. 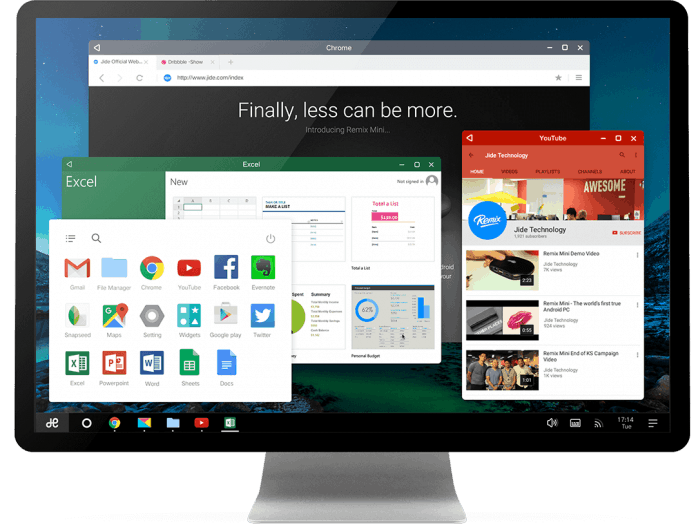 [Download Links] Remix OS Leaked – Download Remix OS 2.0 & USB Tool. Remix OS is an Android based operating system designed for your PC’s which will help you get the Android experience on your existing PC’s. It is made available by Jide Technologies which earlier launched Remix Mini on Kickstarter. The company aimed at making this OS available to everyone free of cost and was about to officially launch it around 12th January. We’ve previously seen a lot of Desktop apps which bring in the Android apps and many Android functionalities to your computer system. However the real pain comes while using them and Remix OS is a completely different thing. It is a complete OS which is made based on the Android Platform and would make using of Android OS on your Laptops or PCs very easy. It has a lot of features which make it stand out of the crowd. Remember, while using Bluestacks for Windows or PC, you are supposed to install Bluestack first, then you have to download various apps to Bluestacks and to use those apps you will have to start Bluestacks and keep it open. Even after facing so much pain, we don’t get the performance at the expected quality. A reddit user – Orion Grant published the link (mentioned in the source) which has the torrent files of the Remix OS and the USB Tool. 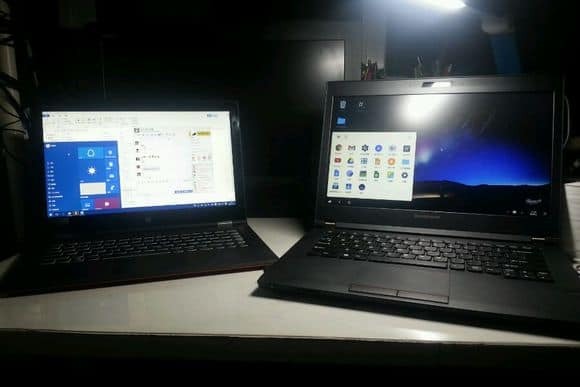 Many users have made comments on baidu saying this is very easy to use, but some users have also posted about some external issues with their BIOS setup, We will be soon up with the guide with steps to Install Remix OS on your Windows/Linux computer system. Update 1: We’ve made two simple guides to help you with installation of Remix OS 2.0 on your Computers based on your OS, 1 is for Windows Users and the other one is for Mac users. Steps to Install Remix OS 2.0 on MacBook, MacBook Pro, MacBook Air and iMac. Download Remix OS 2.0 Officially. Update 3: There are a lot of doubts and questions in a users mind – Here are all the doubts about the Remix OS 2.0 Answered. Previous article9 Best CM13 Themes for Android Phones. Next articleHow To Install Remix OS 2.0 on your Computer or Laptop.